No rhyme or reason to this collection, just some pretty old books. A nifty set of books! I'm going to try for these books. How can you bear to part with these!~ they look wonderful. Wow. Me like. Me want. Me, please! Those are gorgeous! I love the covers. They definitely don't make books like they used to. I am so glad you are keeping the vintage beauty alive. I'd love to win these! Yes, please! So pretty and probably some great stories too. Thanks you for the opportunity. They look lovely. Maybe the billionth time's a charm? What a lovely assortment of books. Hope springs eternal. Books are so wonderful. Thank you for the lovely posts. 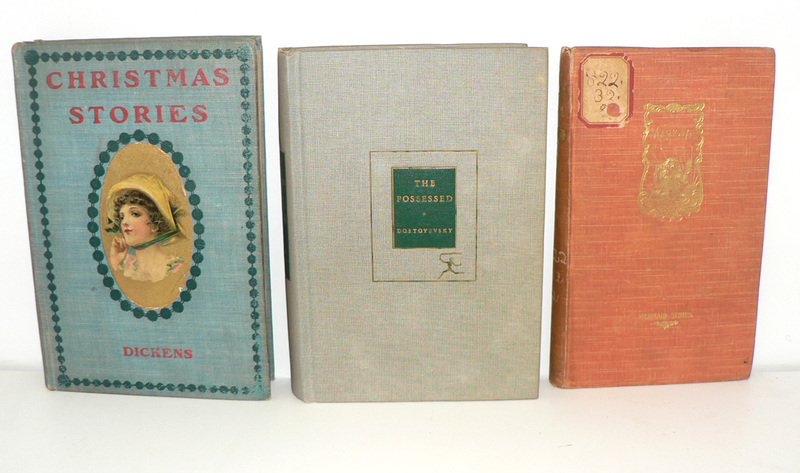 I love old books, and collect Christmas books, but don't have any real old ones. Beautiful covers! Hand raised! Please enter me in the giveaway! These would look lovely on my new shelves, especially the Dickens. Wonderful books! count me in. A wonderful group of books. Throwing my hat in the ring for these. A beautiful set of books, as always. The dogwood on "Pippa Passes" especially caught my eye. For anyone interested, there is a town in Kentucky, the state in which I was raised, named after this book! Wonderful group of books. Throwing my hat in the ring! This is a great collection! Thanks for the chance! Please enter this comment in consideration for the giveaway. Oh, lovely! Thanks for the chance! There might not be a lot of reason to the grouping, but there should be a fair amount of rhyme, given the poetry. =) Thanks for offering them! Oh, yes. 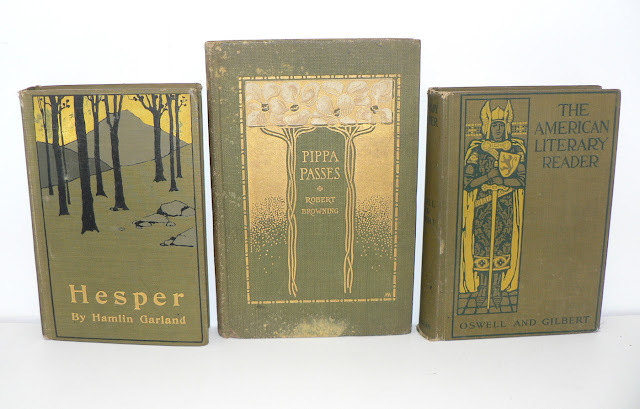 Love that Hesper cover. A lovely set of books! What a wonderful set of books! I am in love with the Christmas Stories cover. A nice set count me in. What are books if children have lost interest? 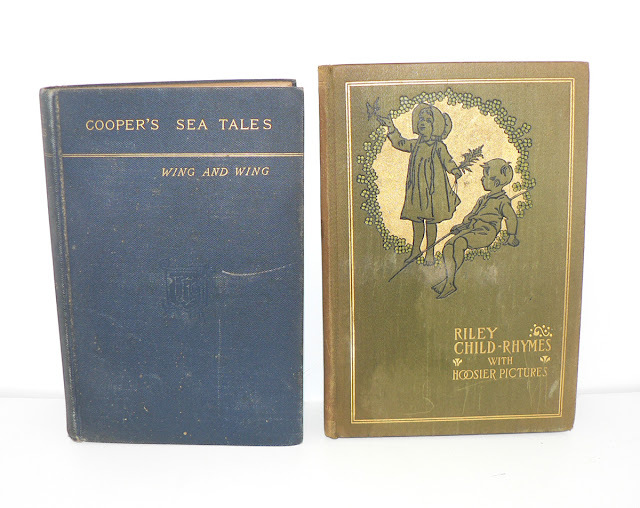 Watching kids read old books, now that has a real value. Digital readers dont give the same reading pleasure I reckon. The turning of a page, the smell of an old book. I particularly like the one with Hoosier pictures since I am originally from Indiana. Sign me up!